Can Bitcoin repeat its price peak of the winter 2017-2018? A tough question. There are many speculations on how BTC managed to show such incredible increase in price. The Bitcoin’s historical ~$20,000 price peak came out of nowhere and took even the most sophisticated analysts by surprise. 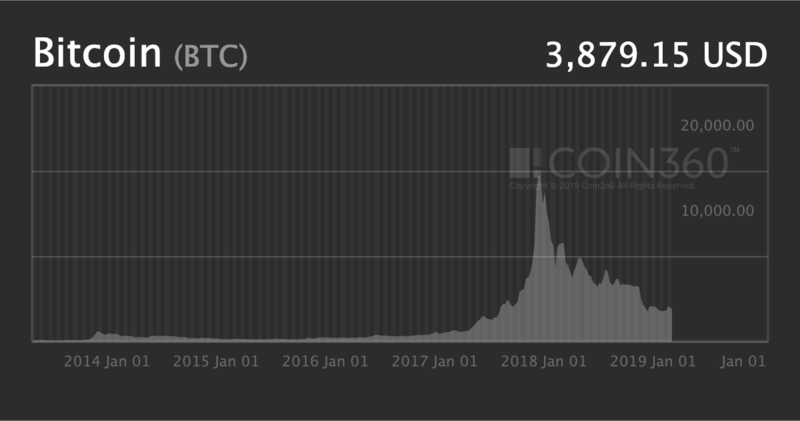 Historical Bitcoin (BTC) price peak in December 2017. Let’s speak a little about the coin’s value today and try to make a Bitcoin price prediction for 2019 and 2020. Bitcoin is the first cryptocurrency and the first real-life blockchain implementation. It took only several years for the coin to become the main driving force of the new technological revolution, despite the initial ironic view of some traditional financial analysts on the Bitcoin price predictions. When Bitcoin came to the scene 10 years ago, it opened the floodgates for a multitude of cryptocurrencies. While 2017 saw the master coin (Bitcoin) hit an unprecedented price range close to the $20,000 mark, throughout 2018, the overall cryptocurrency market was hit by a bear market streak that seemed endless. It looks like Bitcoin itself is currently the best indicator of the overall state of the cryptocurrency market. As we have already touched in our Bitcoin Cash price prediction, most of the market follows the Bitcoin price fluctuations and, correspondingly the forecast on its financial future. Only a few coins (mostly exciting new ones like, for example, the BitTorrent coin) managed not to have their price graphs following the same of Bitcoin’s in an almost identical manner. Any effort at making Bitcoin price predictions automatically makes the forecasting much more wide-scaled since Bitcoin’s price singlehandedly dictates the entire market. It remains to be seen whether it will ever be priced as high as it was at the end of 2017. Granted, the market is hard to call especially with the volatility; however, in this post, we will give you 2019 Bitcoin price predictions from market experts and our little review of the crypto’s future. Bitcoin spent around five years in relative obscurity. The coin wasn’t actively traded or used. However, despite multiple devastating Bitcoin price predictions, its price first spiked in January 2014. For a couple of years following the first significant price change of the coin, the currency was in a stable state, only fluctuating within a relatively small frame of around from 800 USD to 200 USD per coin. The coin started its stable ascending trend at the end of 2016, gathering more and more attention within the widening audience of cryptocurrency enthusiasts. The uptrend itself became a primary driver of the coin’s popularity, expanding its media coverage and raising the number of interested investors and traders. Within the time frame of the following year, the coin reached its current price peak of over nineteen thousand USD per coin in December 2017. 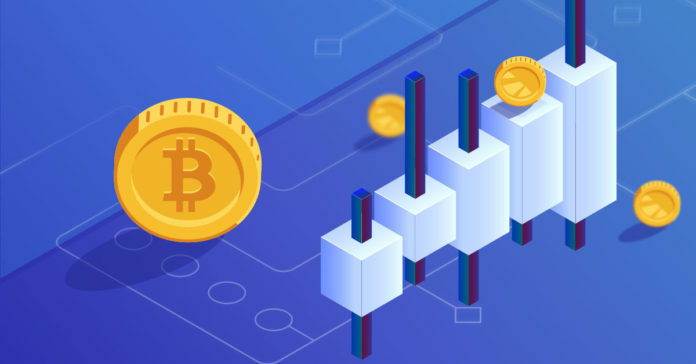 The unmatchable growth of cryptocurrency popularity followed the financial and media development of both blockchain as technology and Bitcoin in particular. The coin drew the attention of traditional business and young startups. To this day, Bitcoin price predictions (including this one 😈) reference the mentioned growth of the crypto as its most important financial mark. Anyway, after the current price record, Bitcoin stays in a downfall in terms of both price and market capitalization. It won’t be a lie if I say that not as many experts have a bright price forecast for Bitcoin. Most of the market is following Bitcoin in its descending trend, but the cryptocurrency industry continues to provide new promising projects that manage to become widely covered in media and to provide useful applications for both businesses wide customer audience. Bitcoin was gradually losing its value for most of the previous year. It looks like it found some stability in the recent months but there can’t be any substantiative promises on how long it will remain sustainable. The current descending trend of the coin is an interesting case for the cryptocurrency analysts because there are no obvious reasons why the coin should be in this state. There was no big news about, for instance, Bitcoin security issues or some other newly discovered troubles with the digital currency. Additionally, only a few financial and technology experts are in any way acting against the coin. In 2019 they plan to implement Confidential Transactions by default. Undoubtedly, such giants of financial thought like Warren and Joseph Stiglitz are making very dark price predictions for Bitcoin. Nevertheless, a lot of powerful and successful opinion leaders are 100% certain of Bitcoin’s future success. Here is a resonant post by Barry Silber that covers the most prominent Bitcoin bulls and bears, that clearly shows there is no lack in support for Bitcoin within the classic business community. What’s after the Crypto Winter? The only sensible explanation of the modern downfall of the Bitcoin market indicators seems to be its overpriced state reached in the winter 2017/2018. The recession that we are facing today is a rational market reaction on the asset being too strongly valued without actual backing for its price. It is a common case within the cryptocurrency community and even for investors to judge Bitcoin as a speculative coin. Even small price fluctuations can bring FUD (Fear, Doubt and Uncertainty) of these market players, significantly lowering the price of the BTC, which became even more noticeable after the correction. Still, the coin continues to be widely used within the crypto community and by every cryptocurrency exchange. It is traded in pairs with almost every cryptocoin and remains a popular way to store a value outside of the traditional financial system. Additionally, the coin is the prominent beneficiary of every government failure in its fiscal policy. The Indian demonetization case is the most demonstrative example of how Bitcoin price predictions should be influenced by the lack of competence of the government authorities. At the time of writing this article, Bitcoin has a price of over 3,890 USD per coin. Bitcoin’s market capitalization is over $68,4 billion. Currently, there is no good or bad news that could push the cryptocurrency market and Bitcoin price predictions in either direction. However, most believers still remain totally bullish on the future price of Bitcoin. For instance, according to panelists’ opinions on finder.com, Bitcoin is expected to increase in value by 84 percent at the end of 2019. The CEO and founder of Yield Coin, Samuel Leach, has also predicted that Bitcoin is set to go beyond the $10,000 mark within 2019. Leach added that even though the “inherent volatility of cryptocurrency means that it is difficult to predict with any kind of finite accuracy” significant upcoming events are set to determine the future price of the digital coin. He went on to mention Bakkt (an International Exchange entity that is set to introduce a federally regulated market making it easy for institutions and consumers to invest in crypto) as one of the significant events that should influence any attempt at providing Bitcoin price predictions. Meanwhile, Joel Kruger, a currency strategist at LMAX exchange predicts that Bitcoin will go back to change hands in the “$5,000 to $8,000 region” after it has had an extension to its price depreciation below the $2,000 mark. He argues that even though believers “would like to make the argument for Bitcoin as a store of value asset, at this stage in the game, Bitcoin is not yet mature enough in its ten-year life to be taking on such a role as a harbor for a flight to safety”. Other Bitcoin fundamentalists like Bobby Lee (the CEO of BTCC and a brother to Charlie Lee, the creator of Litecoin) seems to agree with Kruger. Bobby Lee mentioned in a tweet that “Bitcoin would bottom out at $2500” then later experience a price rally at the end of 2020 to hit price heights of over $300,000 per coin. Due to this Bitcoin price prediction, Bobby Lee is the author of one of the most bullish forecasts on the future of the crypto. Bitcoin halving is a day when the algorithm will switch the block reward for miners in half. In 2020 the price will be reduced from 12.5 to 6.25 BTC per mined block. It occurs every 210,000 mined blocks. Halvings are programmed to happen every four years until 2,141 year approximately when there will be no block rewards after and miners will be paid in transaction fees to maintain the blockchain. This is major future event and will definitely have an impact on Bitcoin price undoubtedly. To put it simply, the price should rise due to supply and demand ratio. The main thing for Bitcoin is to stay popular #1 coin to be competitive on the crypto market. Some people think that there will be no big rally before the 2020 halving and the price of BTC most likely will fall before the big bullish run. Obviously, Bitcoin has come a long way since its invention back in 2009. However, even though it has emerged as a popular alternative to fiat all over the world with regulators slowly but surely yielding to the crypto revolution, there is still much to be done for full adoption to be achieved. At the moment, whether Bitcoin’s price hits new levels in 2019 is still a tall prediction. PS: Bitcoin is an asset that should start to exist outside of its current “speculative gains” framework. It is understandable that people seek to make a promising investment and Bitcoin looks like a great choice for it. Bitcoin is not only a price graph – it is a new type of money that is available for anyone and operates free from the government borders and regulations. You better try to find out how it can be useful for your particular needs and invest in accordance with these factors. 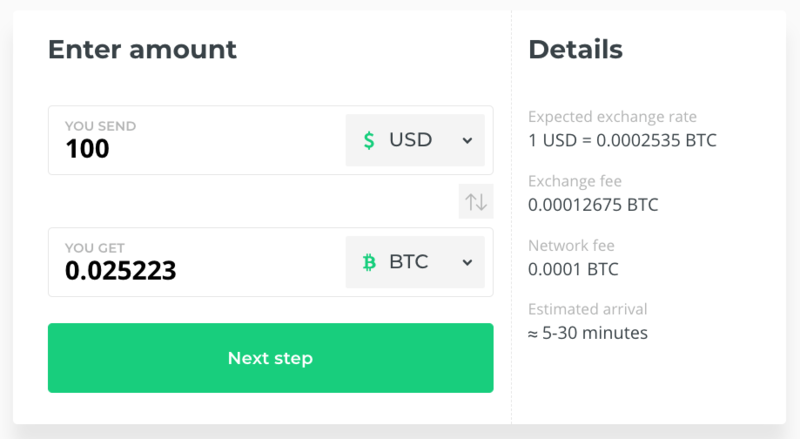 Buy Bitcoin (BTC) with a debit or credit card here at a current exchange rate. 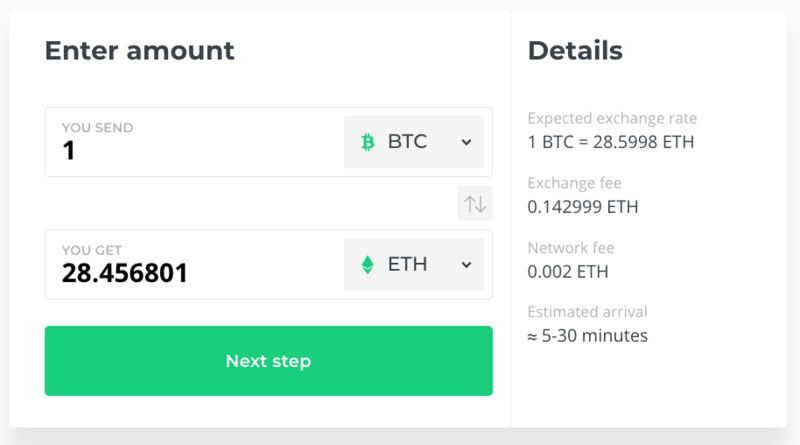 Exchange Bitcoin (BTC) to other coins here.